In this article, I am going to reflect the landscape of the Bosnian Valley of the Pyramids. I am going to be supportive of the hypothesis that there are pyramids in Visoko, but I will try to reflect if it is possible for an ancient civilization to build pyramids at the location where the town of Visoko is right now. Before analyzing the landscape I am going to give some reflections if humans could have lived in the Balkans 30 000 years ago by pointing out research. Later I will analyze the landscape and point out four main points: water, materials for building, potential to live and natural barriers – that are important if someone was going to build structures like in Visoko. In some paragraphs, there will be some comparisons with other cultures and civilizations around the world with Visoko. In the last years, several researchers have concluded that humans were in Europe earlier than thought. Some years ago baby teeth from Italy were found and they were dated at 43 000 to 45 000 years old. Other researchers have found two fossils of an ape-like creature which had human-like teeth in Bulgaria and Greece, dating to 7,2 million years ago. This means that Europe was the birthplace of mankind and not Africa. Even though this still needs more research, we may say that there has been a lot of activity in Southern-Europe, which strengthen the hypothesis of the Bosnian Pyramids. The reason why we do not find so many artefacts of these people could be because rising sea levels that have happened since the last ice age. Just as climate change is threatening historic sites around the world right now. Moreover, many of the artefacts could have been destroyed by nature with erosions. This perhaps the is reason why no other artefacts than the baby teeth were found in Italy. Additionally, many artefacts could have been destroyed by other cultures or civilizations in the last centuries – and therefore it is more difficult to give a correct history of mankind, especially prehistory. Nevertheless, we may say that there were people in the Balkans 30 000 years ago, but the question remains: Could they have built a pyramid considering the landscape in Visoko? Bosnian Pyramid of the Sun. One of the most important resources for every living being on our planet is water. Without water, there is no potential to live, ergo it is difficult for an advanced culture to develop. The oldest civilizations that developed were close by rivers. Euphrates and Tigris were the most important rivers for ancient cultures and civilizations in Mesopotamia. In Egypt, the river Nile was crucial for building the pyramids and survival of ancient Egyptians. In the Indus Valley, the river Indus was the most important river for cultures and civilizations which were first to develop agriculture. To this day, these rivers are still important. Therefore we see a pattern that the civilizations developed close by rivers. Visoko has two rivers – Fojnica and Bosna. Now, we do not know how the rivers looked like 30 000 years ago, when the Bosnian Pyramid of the Sun was apparently built. Some will point out that there were no rivers there, because of the ice age. However, the Balkan region was one of the only regions in Europe that did not have ice during the ice age. Therefore we may argue that the rivers Bosna and Fojnica existed 30 000 years ago. These rivers could have been used for transport of materials, for instance, clay or wood. Additionally, it could have been used for ancient agriculture. The point where the rivers Fojnica and Bosna ”meet.” Photo by Andre De Smet. Interestingly, there are a lot of underground water streams in Visoko and this is still present today. There are multiple locations where there is freshwater from the nearby mountains. For instance, there are freshwater stations at the Moon and Sun Pyramid. According to a number of researchers, there are a lot of underground water streams under for instance the Ravne tunnels. This has also been proved in 2012 when the volunteers tried to excavate a potential structure beneath the Ravne tunnels, and the whole hole flooded the next day. Freshwater at the Bosnian Sun Pyramid. Freshwater at the Bosnian Moon Pyramid. These underground water streams are especially important because those who built the pyramids could have used them both for building the pyramid and for themselves. A good comparison is the Maya-culture, that had deep natural wells called ‘’cenotes,’’ which were important for their source of water. The same thing could have happened to the builders of the Bosnian Pyramids. These natural wells could have been eroded in later times and are yet to be discovered. Another thing the civilization could have done was to build manmade wells around where Visoko is today. Even if the rivers Bosna and Fojnica did not exist 30 000 years ago, we may say that the rivers were not necessary for the builders of the pyramids, because they had many underground water streams they could have used. Teotihuacan does not have rivers nearby and the Mayans used the ‘’cenotes’’ instead and the result was one of the biggest ancient cities in history with many pyramids and structures. The underground water streams are therefore a crucial part for the builders of the pyramids. Today, Bosnia and Herzegovina have rich water sources, compared to other European countries – which may reflect how it was 30 000 years ago. If a culture is going to build structures, then they need to have materials for it, preferably close to the location they want to build the structures on. If we study the blocks of the Bosnian Sun Pyramid, then they consist of loose stones and clay combined, where clay was used as the binding material. Many have argued that the materials were found when the civilization who built the pyramids, dug the Ravne tunnels and used the loose sand and stones from the tunnels to build the Sun Pyramid. Materials from the Ravne tunnels. One of the blocks on the Bosnian Sun Pyramid. However, while I support this hypothesis, I do not think that there were enough materials to build the whole Bosnian Pyramid of the Sun only from the Ravne tunnels. I think that they brought the loose sand and stones from other places in the region. I am not going to speculate where this location was, but the civilization which built the pyramids could have easily gotten the materials from somewhere nearby. The other material, clay, could have been found in the nearby mountains, for instance, Osijela Hill. Osijela Hill is a weird hill and some point out that the half of the hill is missing, and that the materials from that hill were perhaps used by the civilization who built the Sun Pyramid. Same with the Moon Pyramid, which consists of clay and sandstone, could have been built by using materials from nearby. One part of the Osijela Hill. Photo by Jock Doubleday. Some blocks that may be found on the Bosnian Moon Pyramid, sonda 20. To make the blocks, you need a high temperature, which is made of fire. And in order to make the fire, you need materials for it. The main material people used to make a fire before the industrial revolution was wood. The whole Balkan-region, especially northern Bosnia and Herzegovina is filled with forests. One of the last primeval forests in Europe today is located in Bosnia and Herzegovina. We may only imagine how the whole region was filled with forests 30 000 years ago. Those who built the pyramids had enough materials to produce big fires. How they produced it with so high temperatures is still researched. The most important thing is that the region has the materials to build the structures that can be found in Visoko. In order for one culture to build structures like in Visoko, one needs enough food. One of the most important resources is fish. When the northern part of Europa was covered by ice, many fish moved to the southern part of the world, for instance, the Mediterranean. Just as climate change today is pushing the fish further north because it is warmer there than before. This means that for instance Norway and Iceland will have more fish than before in the future. We can imagine that the same situation happened 30 000 years ago in the Mediterranean. Because there is a reason why the baby teeth, which were dated to 43 000 to 45 000 years old, were found in southern parts of the continent and not in the northern parts. This is because there was better potential for humans to live in the southern parts of Europe because of the warmer climate than in the north. Furthermore, warmer climate gives more resources and fish is one of those resources. Fish important since the beginning of mankind. In addition to fish, we may say that there was a lot of forest in the region like we argued before. The forests are important because one may find a lot of animals to hunt and pet. Deers, wild boars and bears are still common today. The region could have had even more animals because the climate was warmer in the southern than northern Europe. Other animals, which do not exist today because of climate change and human activity, could have existed before, like the mammoth. And because of the forest, Bosnia and Herzegovina probably had a lot of animals one could eat. Because of so many forests, the people who built the pyramids could also have started with some agriculture – especially with slash-and-burn. This is a farming method were one cuts and burn forests of woodland to create a field for agriculture. We already know that the Mayan culture used this technique. However, this alone cannot feed a whole population that is capable of building so colossal structures like the Bosnian Pyramids. Therefore we also may say that the builders of the pyramids could have used the rivers in Bosnia or the underground water streams for farming. Therefore those who built the Bosnian Pyramids could have settled in the area because of all the resources they could have found there. An example of slash and burn in Thailand. There is already evidence of agricultural cultures around Visoko that are dating to 5200-4500 BCE. This was the Butmir culture. Even though there is no evidence yet of social stratification, the culture lived out of einkorn, cattle and emmer. Additionally, they hunted for food. The important point here is that people were living in the same region where the pyramids were built 5200 BCE. Even though the Sun pyramid is 25 000 years older, it just shows how important this region was for cultures and the potential to live there. We may say that those who built the Bosnian Pyramids also were similar to the Butmir culture. However, if someone is going to build the colossal structures like the Bosnian Pyramids, one needs to have a social stratification. We are not going to discuss this in this article, but every culture that has built colossal structures – like Mayan, Egyptian, Sumerian etc., has had social stratification and therefore we also may say that the Bosnian Pyramids have had it too. However, this still needs more research, but the important thing here is that if the Butmir culture could have lived in the area 5200 BCE, then it is also possible that another culture or civilization could have lived at the same place 30 000 years ago. One important factor for ancient civilizations were natural barriers. Natural barriers are important to keep invaders out. The Chinese had the Himalayas, Pacific Ocean and dense jungles as natural barriers – which made them isolated from invaders from Europe and the Middle East for centuries. The Maya civilization was surrounded by the ocean. Egypt had the Mediterranean Sea in the north, Nile River in the east and the massive Sahara Desert in the west and south. In the case of the Bosnian Pyramids and Visoko, there are some important natural barriers that may keep invaders out. The Dinaric Alps are in my opinion important natural barriers for the civilization that could have developed in Visoko. The Dinaric Alps are protecting Visoko from the south and west. If we look at a map of Visoko, we will also see that the town is surrounded by hills. The only part where potential invaders could have invaded was probably from the north because the mountains are not that dense like in for example the south. However, it would have been easy to spot them and defend the pyramids because they would not have attacked from different flanks. The brownish colour are the Dinaric Alps. It makes sense of why the civilization would have built pyramids at the location where Visoko today is, namely because the civilization or culture would have been protected from invaders by nature. Just as the greatest civilizations were developed in areas where they were protected by natural barriers. However, this means that there were more culture or civilizations at the same time when the Bosnian Pyramids were built. It would have been illogical if our planet had pyramid builders 30 000 years ago in the Balkan-region, while there were no humans other places. Like I wrote before, baby teeth have been discovered in Italy which are 45 000 years old. This means that the people who built the pyramids had potential enemies and that it was smart to build pyramids where Visoko is today, rather than for example in Beograd where one has open fields, where everyone can attack you. The top of the Bosnian Sun Pyramid and the medieval town of Visoki. In this article, I have given my reflections on the landscape where the pyramids were built in Visoko and if there was potential to even build them at that location. By giving four arguments, water, the potential for materials, potential to live and natural barriers, I discussed that there was potential to live in the region where the pyramids are standing today. Furthermore, I have strengthened my arguments by giving examples from other civilizations and cultures. Nevertheless, this subject still needs more research. Djani Behram studies history at the University of Bergen. He is the ambassador of the Archaeological Park: Bosnian Pyramid of the Sun Foundation since 2012. I have written a couple of articles since 2015. These articles have either been about the Ravne tunnels or the Bosnian Pyramid of the Sun. It is time to shift focus, and to write an article about the Bosnian Pyramid of the Moon. This article will focus on producing the best evidence that there is a structure at the location of the Moon pyramid. Furthermore, I will give my own reflections on the structure itself. The Bosnian Pyramid of the Moon was discovered almost at the same time as the Bosnian Pyramid of the Sun, in 2005. This pyramid is different than the Bosnian Pyramid of the Sun. The top of the pyramid of the Moon is flat. Why the pyramid is flat on the top, is unknown, but some argue that the pyramid is an unfinished project. Personally, I am not sure, and I do not to comment on that in this article. However, the same thing as the Sun pyramid, is that is has an access plateau that is going to the top of the pyramid. The Moon Pyramid is also leaning to a hill, most probably for structural stability. The materials you may find on the Moon pyramid are sandstone blocks and clay, while on the Sun pyramid, the materials you may find are concrete-like-materials, conglomerate and clay combined, making big blocks. According to a sample of an organic material that was found on one of the paved terraces at the Moon pyramid, the age of the structure is over 10 000 years old (Source). The carbon material was found in 2010. However, the pyramid may be much older. We may see some similarities. The Bosnian Pyramid of the Moon was built almost the same time as Göbekli Tepe, if we are going to follow the latest analysis of the site (Source). The blocks are also similar, which is interesting. The Bosnian Pyramid of the Moon. As the whole valley of the Bosnian Pyramids, the Bosnian Pyramid of the Moon is complicated. It seems like the builders of the pyramid used clay between the blocks, no matter what size, most probably because of structural stabilization. Excavations that were opened in 2006, uncovered some of the blocks, making a terrace. Six years later, this terrace has been destroyed, probably because of erosion. There are also bigger blocks, for instance at section 20, where it has not eroded that much, because the blocks are much bigger. In my personal opinion, the clay is supposed to be there, between the blocks, otherwise the pyramid may get totally eroded. To remove the soil is fine, in my opinion, but removing the clay, may destroy the structure, because it may get eroded after some time. The terrace on the bottom of the Bosnian Moon Pyramid after excavations. The terrace is now destroyed because of erosion. Trench 20, with bigger blocks. There are different arguments around how the pyramid of the Moon was built. The two most used arguments are: 1) The pyramid was built from ground up and 2) the pyramid was previously a hill, but shaped to be a structure. I believe that both arguments are plausible. The builders of the Moon pyramid, were using natural materials to build the structure, for instance clay. Some years ago, a property owner started to dig on the top of the Moon pyramid. The reason why is that he wanted to build a well. But later, when Dr. Osmanagich announced the pyramids in Visoko, he understood that he was digging out blocks from the pyramid. This section is clearly showing that the pyramid of the Moon was perhaps built from the ground up, by clay and sandstone blocks, which are easy to make, especially in Bosnia and Herzegovina, where you have a lot of clay. However, the Moon pyramid is a bit ‘’bent’’ on some places, which means that there is a lot of tectonic activity in the area, that is pushing the blocks and clay upwards, making ‘’bent blocks’’ on, for instance, the top of the pyramid. This could mean that the Moon pyramid does not have a man-made foundation on the bottom, so that the natural ‘’foundation’’ is pushing the blocks and clay-layers upwards. The clay-layers are luckily protecting the blocks, so that it does not collapse. The ”well” is telling us that the Bosnian Pyramid of the Moon, could have been built. Blocks at the ”well” section. ”Bent” blocks on the top of the Bosnian Pyramid of the Moon. One of the ”bent” blocks. If we study the LIDAR Scans, which were published in 2016, we may see that some parts of the Moon pyramid are destroyed, especially the south-western side of the pyramid. It seems like it has collapsed for some reason. The two main reason are: 1) Tectonic activity or 2) destroyed or taken blocks by the locals over the historic periods. According the archaeological report of the Bosnian pyramids from 2012, there has been found many artefacts from the several historic periods, for instance pottery and iron-horse shoes (Source). The pottery is from the Butmir culture, one of the oldest cultures in Bosnia and Herzegovina. This culture existed in Neolithic times. Therefore, we may conclude that there has been a lot of activity in the area, that could have used the blocks of the Moon pyramid for, for instance, their houses. Like I wrote in my previous articles, many of the blocks from the Moon pyramid has been taken by private property owners of the sites of the structure, to sell it to tourists. This is of course destroying the pyramid in a bad way – and we are losing artefacts forever. What the structure needs is 1) protection by the state and 2) full excavations and research by archaeologists, geologists, anthropologists and historians. Only then we may protect the pyramid, and know more about it. It is also important to point out that the Bosnian Pyramid of the Moon is matching the cardinal points (Source). Bosnian Moon Pyramid, marked with a circle, LIDAR SCAN. Pottery found on the Bosnian Pyramid of the Moon. As all of the pyramids in Visoko, the Bosnian Moon pyramid has some kind of energies. Recent research by Dr. Konstantin Korotkov proves this (Source). According to his research, the Moon pyramid is good for our health. There are different energies on the bottom of the pyramid and on the top. Another researcher, Heikki Savolainen, also proves that there are energies on the Moon pyramid (Source). He made a presentation at the International Scientific Conference in 2011, and one may watch his presentation here: Source. Dr. Korotkov and Dr. Osmanagich at the top of the Bosnian Pyramid of the Moon – the ”well” location. Trench number 20, is one of the most interesting trenches that has been excavated on the Bosnian Moon pyramid. The trench was firstly excavated in 2006. Further excavations continued in 2010 and 2011. The trench is important, because it is showing us how the pyramid could have been built. First you have a block, then clay, then a block again, then clay etc. Many of the blocks are triangular, and shaped 90 degrees. Some of the blocks are not, and the reason could be because of structural stability. It is better when blocks support each other in a ‘’circular’’ way, than in ‘’square.’’. It seems like a puzzle, so that the blocks are more ‘’fit’’ in the case of an earthquake. Nevertheless, like I wrote before, the clay is important when it comes to the Moon pyramid, and it perhaps should not be removed. This is because it is stabilizing the structure. One of the geology students from 2010, suggested the same thing. Here he/she points out that the sandstone blocks are eroding quickly when exposed. (Source). Therefore, we may say that some of the blocks on the Moon pyramid, were perhaps never meant to be exposed, by removing the clay, because it gets eroded quickly. Trench number 8, may also prove that the blocks of the Moon pyramid, were made on the site, poured like an asphalt, and on other places the blocks were made, and placed later. For instance, on trench number 20, the blocks were made, then placed. On tench 8, some of the blocks were poured. Or the blocks on the trench number 8, has been eroded, and there are missing blocks. It still needs a lot of research. Another location I want to focus on, is one trenches on the top of the pyramid. Here we may find smaller sandstone blocks, placed on clay layers. If we study the trench, we may see that the blocks on the left are perhaps from the culture that built the Moon pyramid, while the blocks on the right, and were added later by a different culture. Also the blocks on the right are destroyed or were taken out in the past by some culture, for some unexplained reason. This is normal, and archaeologists often discover destroyed historical sites, and need to reconstruct it later. We need to remember that the structure is over 10 000 years old – a lot could have happened these years. Nevertheless, the trench may prove the existence of the Bosnian Moon pyramid. One of the most interesting trenches on the top of the Bosnian Pyramid of the Moon. Another photo of the trench. Another photo of the blocks. In addition, it is interesting to point out that there are similarities between the pyramids in Teotihuacan and Moon pyramid. If we study the Pyramid of Sun in Teotihuacan, we may see that it has the same shape as the Bosnian Pyramid of the Moon before excavations. It looks rather like a mound, than a pyramid, but after, it is one of the most fascinating structures on the planet. We may wonder what the Bosnian Pyramid of Moon will look like after excavations and reconstructions. Time will tell. Pyramid of the Sun, Teotihuacan, before excavations. Pyramid of the Sun, Teotihuacan, after excavations and reconstruction. Pyramid of the Moon, Bosnia and Herzegovina, with vegetation. Photo by Monia Lippi. This article is not as long as the other articles, but at least I hope that one may get an idea regarding the Bosnian Pyramid of the Moon. I have showed some of the most important trenches, and given my own reflections on the structure, based on my own and others research. The idea of this article was to give a source, so that others may use it in their own articles, if they want to make one. Hopefully, the article may make discussions, because it is important in research. Like always, more research and excavations are needed, in order to understand the Bosnian Pyramid of the Moon. Djani Behram is a researcher of ancient places around the world, mostly in Bosnia and Herzegovina. He is also the ambassador of the Archaeological Park: Bosnian Pyramid of the Sun Foundation and has volunteered at the Bosnian pyramids for six years now. He also has good experiences with the Bosnian pyramids and archaeological sites in the region. In addition, he owns one of the biggest sites about the Bosnian pyramids, which is posting news and photographs almost every day. Are there more entrances to the Ravne tunnels? Some months ago I made an article where I discussed the Ravne tunnels and the mine hypothesis. There we concluded that the Ravne tunnels were probably not a gold mine, definitely not natural, and that the tunnels are older than the medieval period. This article is a continuation of the previous article, after further research of the tunnels. It is important to make your own opinions, while reading this article. Previous article: Discussing the Ravne tunnels and the mine hypothesis. The main focus of this article will be the tunnel that was discovered in 2010, but researched further in 2012. According to the archaeological report from 2012 (Source), they found out that there were a continuation of free debris behind the filling material. The volunteers started excavating the tunnel, and found a new section. One of the first volunteers that entered the new section, was Alfredo Bertan – an experienced volunteer at the Bosnian Pyramid. He made a descision to enter the tunnels alone, but the important part here is that he took a camera with him. Bertan filmed the whole section of the tunnels, and it is just breathtaking. The video is on YouTube, and I will recommend the readers to watch the whole video, so that you can have an idea of the content of this article (Video). 1. First 20 meters: water is present up to a depth of 20/30 centimeters. It is therefore easy to walk through. Additionally, the ceiling becomes suddenly higher. After the water channel, one is forced to crawl. As we can see on the video, there are two water sections, for an unknown reason. 2. After the first 20 meters, Bertan is forced to crawl. After about 3 meters, the tunnel splits into two parts – one to the left and one to the right. Bertan chooses the one of the right. The tunnel becomes suddenly bigger. He finds one dry wall, and two track lines, probably from a wheel barrow. They are only some meters long, and after that you have the filling material again. There were no signs of footprints. Close to the dry walls, one may find traces of smoke, from perhaps candles or oil lamps. 3. The tunnels after about 10 meters, becomes tighter and the exploring team found a monolith, according to the report. In addition, there are 8 parallel lines on the megalith. The reason is unknown. 4. After some meters, and a small water channel, the tunnels split again – right and left. Bertan chooses left. Later he finds marking of tools on the clay layers, probably from small pickaxes. 5. The tunnel continues for 15 meters, and the tunnel is sealed with the filling material. The volunteers tried to clear it a bit, but the working conditions were hard, and it was decided to abandon the tunnel. The track lines, possibly from a wheelbarrow. Photo by Riccardo Brett. Traces possibly from a pickax. Photo by Riccardo Brett. Traces possibly from a candle or oil lamp. Photo by Riccardo Brett. The ending of the tunnel – it is filled with the filling material, as almost all of the tunnels in Ravne. Photo by Riccardo Brett. The tunnel itself looks like an ordinary Ravne tunnel. It looks a bit like the ‘’Rabbit Hole’’ tunnel that was discovered in 2014. The weird stuff is the obvious evidence that someone was here recently. It is unknown when and who entered the tunnels. Additionally, the tracks are ‘’trapped’’ between the filling materials. It should be noted that an oil lamp was found in a different section of tunnels in 2012 (I have discussed this). The reason why the tunnels are different in height, is probably because of the ventilation system, and the reason why we have so much side tunnels is because of the ventilation. These side tunnels have probably very small openings outside, yet to be discovered. Very small tunnels, are probably ventilation systems. However, tunnels with a lot of filling material are the main tunnels, where someone may walk. The tunnel that was explored by Bertan, is one of the main tunnels, in my opinion. One of the smaller tunnels in Ravne. Possibly made because of ventilation purposes. It is unknown why someone entered the tunnels and how. I am going to argue that they entered from another entrance. The reason why is that the entrance that was discovered in 2006, by Dr. Osmanagich, was almost filled to the brim. Furthermore, the entrance is too small for a wheel barrow to access, and there are no traces of such in the beginning of the tunnel. If we go deeper into the tunnels, at the location of the ‘’Egg megalith,’’ the tunnel split into two parts. The tunnel to the left is the tunnel where one may found Runic symbols, megalith K2 etc. Tunnel to the right was excavated later, and here we may found many water channels. If we watch Bertan’s video, and how the tunnels split into two parts, we may see that it looks very similar. For a closer look of the two tunnels at the ”Egg megalith,” please check out this video. The tunnel to the right was filled with the filling material. Furthermore, there has not been found any medieval artefacts in any of the tunnels close to the megaliths that has been discovered in the recent years. However, there has been found remains of a fireplace in 2009, approximately 180 meters from the entrance discovered in 2006, according to Dr. Osmanagich’s book ‘’Pyramids around the world (2011).’’ Samples of the organic material were sent for radiocarbon analysis to Sweden and Poland. The laboratory for analysis of age at University of Uppsala found that the organic sample was 3091 years old (+/-111 years). It would be interesting to see how old the traces of smoke are, that were found in the sections that were explored by volunteers in 2012. That would definitely help us understand this section of tunnels. We obviously see that the tunnels have been entered previously by other people. In my personal opinion, the entrance to the Ravne tunnels that was discovered in 2006, is not the main entrance to the tunnels. Let us imagine how the location looked like thousands of years ago. There were no roads, and the place was surely very muddy and full of vegetation. I have no doubt that the entrance today is one of the entrances, but perhaps not the main entrance. I have previously argued that the ancients could have taken conglomerate and clay from the Ravne 2 area, to build the Bosnian Pyramid of the Sun (Source). This may still be possible, of course, because the ramp of the Sun pyramid was probably used to build the pyramid easier and for stabilization purposes, and it is to going towards the location of the Ravne tunnels. I think that there are entrances to the Ravne tunnels, much closer to the Sun pyramid. In 2015, tourist Zora Novak, explored one of the possible entrances with a local person. She filmed everything (Video). At first the tunnels look similar as the entrance that was discovered in 2006. Furthermore, the brown material, looks like the filling material that have been found inside the tunnels. The tunnels may seem small for a person to enter, but we need to remember that the entrance to today’s entrance to the Ravne tunnels is also small, but later it gets bigger. The entrance is close to the Ravne tunnel entrance that was discovered in 2006. A possible entrance to Ravne? The Ravne tunnel in 2006. The small opening is the entrance to the tunnel. It is very similar to the tunnel that Bertan explored. Photo by Sanel Silajdzic. The entrance to the Ravne tunnels, discovered in 2006. Photo by Amer Smailbegovic. The entrance to the Ravne tunnels in 2016. Additionally, there are different legends regarding underground tunnels in Visoko. Some of the legends are for instance that Queen Catherine of Bosnia escaped by the tunnels systems at Old Town, called Visoki, which is located on the top of the Sun pyramid. Other legends tell us that there is an entrance hallway to the Sun pyramid, for some called Vilindo. ‘’Vilin’’ is usually referred to spirits, while ‘’do’’ is referring to valley. This is a connection with mythology, with Paleo-Pagan or Mithraic cults. Even if no locals have any information about this place, they told that there is another entrance to Ravne, west of the Bosnian Pyramid of the Sun, according to the report of 2012. The Royal town of Visoki, located on the top of the Sun pyramid. The ones that entered the tunnels, which Bertan explored, did not enter deep in the tunnels at all, because there were not any traces in the tunnels that Bertan was coming from. My hypothesis is that the people that entered the tunnels, were probably looking for materials they could sell, for instance gold. They cleared out the filling material and went a bit deeper, but when they could not find any good materials, other than conglomerate, quartz crystal etc., they abandoned the tunnels. They filled the tunnels with the filling material, so that no one would notice that they have been there. One of the dry walls that was found in that section, looks partially destroyed (8:12 on Bertan’s video). Perhaps they removed some of the stones from the wall, to see if there was a tunnel behind this particular wall. The remains of this wall may be found at minute 7:31. It may mean that the dry walls were already there when the people entered the tunnels, and removed some of them to continue their exploration. These tunnels were probably not used as mines in ancient times, because we do not find any strong evidence of such and I have discussed this before also. The traces of pickaxes could have been made when the people tried to clear out the filling material – because it does not make any sense of why someone would mine for clay, when there is a lot of clay in the Visoko-area. To this day, no gold has been found in the Ravne tunnels. If we study Bertan’s video, we will see something interesting. At first the water in the water channels are totally clear, but the water at 14:25 and 18:00 is dirty – the reason is unknown. If we compare how much water there is at first, and later, we may see that it is not a lot of water at all at 14:25 and 18:00. Perhaps those who entered the tunnels cleared out some of the water, with a bucket, for easier access. If we compare other water channels in Ravne with the water channel at 14:25, we will see that the water should have been a bit higher. In the middle of the water channel at 14:25, we may see an edge. The edge on other water channels is under the water. This may strengthen the hypothesis that someone removed some of the water with a bucket. It seems like those who entered did not come far at all, if we follow the bucket-hypothesis, because the water at first is much than the water that comes later, circa at 14:25 and 18:00. Why the water channels are there in the first place, is unknown. The edge, that probably should have been under the water. The edge in other water channels is under water. One of the water channels in Ravne. Nevertheless, with all this in mind, the multiple entrance hypothesis, only makes it realistic. This is, in my opinion, not a hypothesis anymore. It is a fact, especially with all this evidence. It is only a matter of time when we will discover a second or third entrance that is going directly to the Ravne tunnels. If we are going to discover it from inside, we should follow the side tunnels, but especially the side tunnels with dry walls, in my opinion. It is logical that all entrances link to the original tunnels, because 1) it is easier to follow and 2) effective. It may seem like a labyrinth, but I think that almost all of the tunnels in Ravne have their own purposes. Nevertheless, as always, more research is needed when it comes to the Ravne tunnels, but at least we may conclude that there are more entrances to the Ravne tunnels, just waiting to be discovered. When it comes to the tunnel that was explored in 2012, there is no more information on it, and it was totally abandoned after that. It would be nice to see some excavations there in the future, only then will we come closer to solving this puzzle. March 11, 2017, one day after the Press Conference where Dr. Konstantin Korotkov confirmed the existence of the Bosnian Pyramids (Source), Dr. Semir Osmanagich sent me an email. He asked me if I could try to include an article from SarajevoTimes that was about the confirmation by Dr. Korotkov. I wrote that I would try, and I made a small plan. First, I would try to edit the Wikipedia-article and include it there, and if they removed it, then I would try with the diplomatic way – with discussions. As we all know, the Wikipedia-article on the Bosnian Pyramids is really subjective, and it would have been nice to have a balance to the article. Previously I have tried three times, now, one year later, I return to try the fourth time. Last time I got banned for three months. I could not edit the Wikipedia-articles regarding the Bosnian Pyramids, and if I did I would get blocked they would suspend my account. The Bosnian Pyramid of the Sun. Ten minutes later (!) all of it got deleted. It was deleted by a guy named ‘’Doug Weller.’’ Here is his reason of why my paragraph got deleted: Yeah, and Konstantin Korotkov, takes photos of the soul leaving the body – anything but a reliable source for archaeology. ‘’ I know that this is a controversial topic, but why would he paint the whole man in a negative way? Let us take a look on who Dr. Korotkov is. Professor Konstantin Korotkov is a quantum physicist and computer science engineer. He is a professor at the Department of Computer Science and Biophysics at the State University for Information Technology, Mechanics and Optics in Sent Petersburg, Russia. He is the Deputy Director of the Research Institute for Health in Sent Petersburg. He is the Chairman of the Association for medicinal and applied bioelectrography. He has published more than 200 scientific articles in leading international magazines in physics and biology. He owns 17 patents in the field of biophysics. He has presented in 43 countries and participated in more than 100 international conferences. He is the author of nine books translated into several languages. His EPC/GDV technique is accepted by the Russian Ministry of Health and is certified in Europe and used by more than 1000 doctors all around the world. He researched many megalithic locations in the world as well as the energy of the Egyptian and Mexican Pyramids. Why do the Wikipedia-editors have a problem of people that are thinking out of the box? I have argued that those that are thinking out of the box in science, are taking us forward with our knowledge: The Bosnian Pyramids – It is time to take them seriously. Nevertheless, I moved to plan B; the diplomatic way by discussing if the confirmation by Dr. Korotkov could be added to the article (Source). I pointed out that Dr. Korotkov confirmed the Bosnian Pyramids and what his degrees are. 20 minutes later I got an answer by a guy named ”Boing! Said Zebedee.” He wrote this: ”You again (Sic!)? Provide reliable peer-reviewed academic source.” I have two problems with this comment. 1) He is rejecting Dr. Korotkov as a scientist, which is ridiculous, 2) he is telling me to provide peer-reviewed academic sources, but I have counted at least 15 out of 41 sources that are not peer-reviewed and that are made by ordinary journalists, regardless if they support the Bosnian Pyramid project or not. Some of the sources do not even work any longer. Four sources (!) are from the last three years. It seems like their article is stuck in past, because a lot has been done since the pyramids were discovered. If they do not use peer-reviewed articles, then why don’t they allow me to include something important and recent in the Wikipedia-article? Press conference on Dr. Korotkov’s discoveries, March 10, 2017. I did point this out to the the Wikipedia-editors. Then they got angry. The same guy told me this: ”If you restart the old argument again as we try again to get woo-woo nonsense included in this article as if it were a fact, you will be topic banned from the article again.” I have two problems with this answer. 1) It is not nonsense, but a fact, if someone is using artificial instruments to measure phenomenons! 2) Recently, the Wikipedia-page is asking people for donations, so it can survive without advertisements. I am a frequent user of Wikipedia, both at home and at school. However, why would someone pay the page, when there are so rude editors that make threats after just 20 minutes of discussions? I know that this is a NGO, but they are dependent on donations from ordinary people to survive without advertisements. Well, I have learned that I have my freedom of speech. The freedom of speech is also central in the Human Rights (Source). I did not vandalize the Wikipedia-page or anything. If I did, I would have understood. But I showed them respect and gave a suggestion, where they just answered rude to me, and it ended in a ban. Some blocks that may be found on the Bosnian Pyramid of the Sun. Nevertheless, I continued pushing. I pointed out that Dr. Korotkov is an academic, and that the article is written by a reliable news source. SarajevoTimes, is one of the biggest Bosnian news portals in English. Again, the guy named ”Boing! said Zebedee” answered the same as before, but now he added that he does not have patience for people that do not follow Wikipedia’s sourcing requirements. As if they do! I was about to make an answer to this individual, but I couldn’t. I got banned. This time I got banned indefinitely. If I try to edit the Bosnian Pyramid articles they may block me from editing anything. A person named ”Acroterion,” commented this: ”(…) since you appear to have not purpose on Wikipedia but to promote fringe theories about the Bosnian pyramid claims.” This answer is problematic because of two reasons: 1) The existence of special activity in the Bosnian Pyramids is too overwhelming to just be a some kind of fringe, 2) By including one article, where an academic is confirming the pyramids is not promotion, that is a fact. The Wikipedia-article is too subjective, and that is problematic. Why is it problematic? The Wikipedia-article is for instance promoting lies, for example that the Bosnian Pyramid of the Sun Foundation is still funded by the local authorities and that Dr. Osmanagich is using this project for political gain. Still to this day, Dr. Osmanagich is not involved in politics, and he has denied that he will in the future. They are doing literally everything to paint Dr. Osmanagich, the project and those that are involved in a negative way. An encyclopedia’s job is to inform, not to paint something or someone in a negative way. Nevertheless, I backed off, because they would have blocked me if I tried to do something. They have the power to do so. I now have evidence of how the Wikipedia-editors are, especially when they ban someone after only two hours. The entrance to the Ravne tunnels. Graham Hancock, researcher and the author of ”Fingerprints of the Gods, has also been painted in a negative way. They are stating that his work is viewed as pseudoarchaeology, because his work has not been peer reviewed by an academic nor published in academic journals. I know that it is important to protect archaeological and historic sites around the world, but when was it illegal to make one’s own hypothesis regarding the past? Science is by the people and for the people. It is scary that a few individuals have so much power on the information. Many people around the world are using Wikipedia every single day, and the way they are treating researchers is absurd. Universities are centers for new ideas and theories – things that are making us go forward. Many universities are also researching controversial stuff, for instance if there is life on Mars (Source), or if the Neanderthals were vegetarians (Source). This is not the way someone should treat other researchers. Ordinary people should also be allowed to research stuff around the planet. Graham Hancock is even holding a bachelor’s degree in sociology. Nevertheless, in my opinion, the Wikipedia-article on the Bosnian Pyramids should be perhaps written again from the start, or that it totally reforms into something more objective. They need to include recent discoveries. There are a lot of articles on the internet on the Bosnian Pyramids in the recent years. I do not see a problem including articles that are from a trusted news station – the Wikipedia-editors have done it in the ”Bosnian pyramid claims” article. Furthermore, they should listen more to the people, and not paint other individuals or projects in a negative. They may deny something based on the sources, but if there are other sources from trustworthy news stations and that are statements made by serious scientists like Dr. Korotkov, then they should include them. On the Wikipedia-article regarding global warming (which is a real, and is a problem for the world), they included scientists that think that global warming is caused by natural processes (Source). Perhaps they should do the same with the Bosnian Pyramids article? Jock Doubleday already tried to make a WikiNews article which contains all the scientists that have participated on the International Conferences on the Bosnian Pyramids, but it got rejected multiple times by the editors (Source) There is no doubt in my mind that the article is too subjective, and that it should be edited so it is more objective. We shall see what will happen in the future. Regardless of the outcome, we will continue the research on the Bosnian Pyramids. The Bosnian Pyramids were discovered in 2005, by Dr. Semir Osmanagich. Dr. Osmanagich later established the Archaeological Park: Bosnian Pyramid of the Sun Foundation, which has been researching the Bosnian Pyramids for twelve years now. 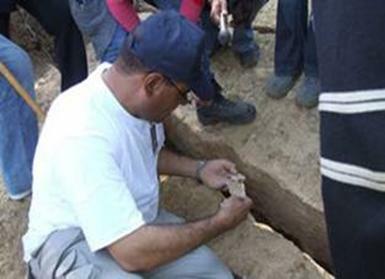 Moreover, the foundation has spent thousands of hours on research of the Bosnian Valley of the Pyramids. With all this, hundreds of researchers have visited the pyramids in Visoko, and conducted their own research, often with their own artificial instruments. Most of them have conducted that there is something special regarding the pyramids in Visoko, and that they should be researched more. With Dr. Konstantin Korotkov confirming the Bosnian Pyramids, March 10, 2017, it is time for the scientific community to take this project seriously: Dr. Korotkov confirming the Bosnian Pyramids. Dr. Korotkov researching the energy phenomenon on the top of the Bosnian Pyramid of the Moon. Dr. Korotkov is one of many that has confirmed the existence of the Bosnian Pyramids. The Archaeological Park: Bosnian Pyramid of the Sun Foundation has hosted five conferences in total; 2008, 2011, 2012, 2013 and 2014. At the conferences we have historians, archaeologists, anthropologists, physicists, engineers, geologists and biologists. These fields have made their own contributions to the project. The History, as we know it, is changing and we are going further into the past than the history books are teaching us. We do this with sites like Göbekli Tepe, which is probably 12 000 years old World’s Oldest Temple to Be Restored. Thousands of years older before the development of agriculture, which happened around Mesopotamia, if we follow the original history: Source. Every time someone may revolutionize something, they shut him/her down. There are a lot of examples of such in history; Alfred Wegener, Albert Einstein, Gregor Mendel, Nicholas Copernicus, Heinrich Schliemann, Charles Darwin, Galileo Galilei, Nikola Tesla etc. These geniuses got rejected at first, but later they revolutionized science and we moved forward with our knowledge. It is time for the historians to be open, and to share the knowledge with everyone. They should not shut down people that are thinking out of the box. Those that are thinking out of the box, are usually those that make the most contributions to science. The European Association of Archaeologists released a statement in 2006, calling the Bosnian Pyramids a ‘’cruel hoax.’’ Despite this, the project has continued with its research. With the research of the energy aspects in the Valley, it has been concluded that there is something there. There is no doubt about that. A lot of researchers like Heikki Savolainen, Paolo Debortolis, Slobodan Mizdrak, Goran Marjanovic, Hrvoje Zujic etc. have concluded that there are strong energetic (ultrasound, electromagnetism etc.) frequencies at the Bosnian Pyramids and tunnels. One of the articles discussing the energy aspect of the Bosnian Pyramids: Electromagnetic mechanism of the ultrasound on the Bosnian Pyramid of the Sun (Visoćica Hill). Paolo Debortolis researching the energy phenomenon on the top of the Vratnica Tumulus. In addition to this, hundreds of independent researchers and volunteers have visited the Bosnian Pyramids and made their own conclusions, which are interesting. The Summer Camp for volunteers, have produced three interesting archaeological reports (2012, 2013, 2014) regarding the Bosnian Pyramids. I personally have made a lot of articles regarding the Bosnian Pyramids, which are, for instance, discussing the Ravne tunnels with logical arguments. Nevertheless, this project has made a lot of project since it started in 2005. Perhaps it is time for the association to visit the pyramids? Perhaps they should make their own excavations and research? Egyptian geologist, Dr. Ali Barakat, made his own conclusions regarding the Bosnian Pyramids, which I want to quote: ”The observed hills (Visočica , Plješevica, Buci) are most likely natural hills that were later modified in places by human activities, possibly during several historical episodes. The traces of such modifications have been either overprinted by later cultures, or by simple erosive tectonic processes, which are rather significant and far-reaching in a complex of the geographical, cultural and geological system, as seen in Bosnia and Herzegovina. Even though, there is a compelling evidence of the existence of the pyramid-shaped, man-made hill-forms in Bosnia, the results are still inconclusive and require further detailed geological, geophysical, tectonic and most importantly, archaeological studies.” The European Association of Archaeologists should definitely visit the Bosnian Pyramids and make their own conclusion, because clearly, there is something there. As I have always written in these kinds of articles, the site still needs a lot of research, and scientists should not shut down something immediately, like they did in 2006. Furthermore, a lot has been discovered since 2006. I am including his report in this article: Dr. Barakat Bosnian Pyramid Report. Dr. Barakat researching the Bosnian Pyramid of the Sun. There has been progress in the research of the Bosnian Pyramids. It has been a combination of energy research and archaeology. Dr. Paul LaViolette is discussing this in his article that was published in 2014: The Bosnian Pyramid Complex: Signs of Technically Advanced Ice Age Civilization. Here he concluded that the research of the Bosnian Pyramids should be continued. The Bosnian Pyramids should also be taken seriously by the Bosnian Government on all levels. In the last years, the foundation has financed itself. I know that the country of Bosnia and Herzegovina is in trouble, when it comes to poverty, unemployment, tensions etc. The National Museum of Bosnia and Herzegovina has had to close its doors for three years, after opening again in 2015, because of donations, especially from the US embassy: Source. Ever since the civil war in the 1990s, the politicians of Bosnia and Herzegovina are doing little to preserve archaeological and historic sites such as Daorson, Badanj Cave, Stecci etc. Efforts by NGO, such as Archaeological Park: Bosnian Pyramid of the Sun Foundation, Arheon etc., should be supported. It does not need to be economic support, but promoting these organizations, so that their efforts are being appreciated. And those that are attacking the Archaeological Park: Bosnian Pyramid of the Sun Foundation, should also know that they are promoting other historic sites of Bosnia and Herzegovina, such as Stari Most in Mostar, Obelisk in Olovo, Stecci, Vranduk Castle etc. In addition to this, the Foundation has made its own Park, called Ravne 2, so that visitors may enjoy themselves in Visoko longer, which is also promoting the touristic aspect of Bosnia and Herzegovina. The smartest thing for the politicians in Bosnia and Herzegovina is to promote these organizations, so that the organizations may promote and research more historic sites, so that it also promotes the tourism aspects, which also makes the country richer because it creates labour, which is important in Bosnia and Herzegovina. The Bosnian Pyramid of the Sun, overlooking Visoko, 1970s. This project will last for generations to come, and now that the foundation has established evidence that there is something going on in the Valley, especially regarding the energy -aspect, they should be taken seriously. The next would be that archaeologists and historians come to Visoko and do their own research at the Bosnian Pyramids. Only then they may conclude if something is natural or man-made. No matter what the results are, we still have evidence regarding the energy aspects, which proves that the structures are special and good for human health. This is a serious project – it has always been – and it will be like that in the future. Only time and research will tell when there will be found more evidence for the existence of historic structures/pyramids in Visoko, Bosnia and Herzegovina.